Exchanges between Taizé and Bolivia have grown steadily over recent years. For the least few summers, small groups of young Bolivians have been invited to spend three months in Taizé. They take part in the international meetings and help with the daily responsibility for the meetings. The reason for their presence in Taizé is above all so that they can share with people from other countries the way in which they live their faith, with its challenges and questions, within Bolivian society, at a time of great uncertainty. The need to go back home and be able to share one’s experience is the basic point of the pilgrimage: “I’m certain that my experience will not simply stay with me, as something personal; since I came back it is becoming one with everything that my heart learned”. Between April 30 and May 3, 2004, the brothers led a meeting in the city of El Alto. During the days leading up to the meeting, people had been anxious because of a new wave of strikes and road blocks in various parts of the country. So for many the meeting came rather like a light kindled in the darkness! In all, some 2000 young adults took part in the meeting, many of them dressed in the beautiful traditional clothes of the Aymara and Quetchua cultures. For most of them this was something new. Each song was sung four or five time in Spanish then continued in Aymara, the predominant indigenous language in the Altiplano. Joining in the meeting were not only young people from Bolivia, but from Brazil, Chile, Argentina, the Dominican Republic, along with some from Europe as well - sharing the same spirit. In fact, the choir was led by a small group of young people from Santiago, Chile. Given the historical difficulties between the two countries, the sign of young people from Chile participating in "Days of Reconciliation" in Bolivia was a very strong one indeed. When the meeting was over, one of the priests said: “This is the first time in a youth meeting that those from the country and those from the city actually came together, without forming separate groups. In my parish, I have been trying for fifteen years to convince the young people to sing in Aymara as well as Spanish, and they have always refused. But after this meeting, at the end of Mass, quite spontaneously, they sang one of the Taizé songs in Aymara!”. Taize’s ties with Latin America go back to the 1960s. Brother Roger attended the Second Vatican Council, where strong ties were formed with bishops from across the continent. Through discussion and sharing on the difficulties at their dioceses, several practical projects were planned and implemented. One of these was the setting up of “Operation Hope”: a large appeal organized by Taizé in Western Europe, making possible the financing of small farming cooperatives on land which had previously belonged to the Church and which the bishops wished to give to the very poor. “We have poor people and we have land” the bishops said, “but we do not have the means to start farming cooperatives”. The same appeal were used to finance the first edition of the New Testament in Latin American Spanish, and one million copies (plus 500.000 in Portuguese) were distributed to most of the dioceses in Latin America. The appeal also made it possible for young Latin Americans, pursuing their studies in Europe, to be welcomed in Taize. Such an exchange of goods and gifts eventually takes on a concrete and visible form; it has a “face”. On the invitation of Dom Helder Camara, a group of Taizé brothers went to set up a small “fraternity” – house of the Community - in Olinda, Recife, to share in the life of the most disadvantaged. Some years later, the fraternity relocated to Alagoinhas, in the State of Bahia, where they still live. Brother Roger made several visits to Latin America. 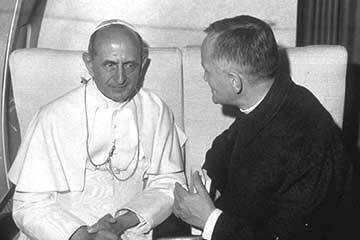 Without a doubt, one of the most important, and indeed the very first, took place in 1968, when Pope Paul VI invited him to accompany him on his journey to Bogota, Colombia, for the inauguration of CELAM (Latin American Episcopal Conference) meeting at Medellin. 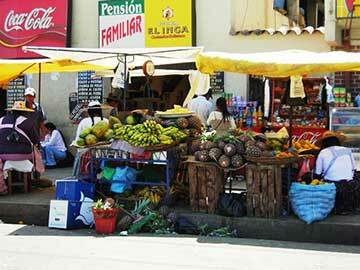 In Bogota, Brother Roger decided to stay in one of the poorest neighbourhoods, on the outskirts of the city. This was something he subsequently did on all his journeys abroad. The year 1974 was a very special one. In December, the first meeting organized by Taize for young people in Latin America was held in Guadalajara, Mexico. Later, on the first anniversary of the military coup in Chile, Brother Roger travelled there to show his solidarity with the Chilean people who were then going through their darkest hours. Five years later, in 1979, Brother Roger paid a visit to the brothers in Alagoinhas, and then he spent a month in the indigenous region of Temuco, Chile, expressing, once again, the Community’s desire to walk side by side with the various peoples of Latin America, trying to render more visible the unity of the human family. Ties of reciprocity and communion continue to be strengthened today. For over 20 years, about 40 young Latin Americans having been coming to Taize every summer, as pilgrims, as a continuation of the Pilgrimage of Trust. They are sent by their dioceses and - by sharing their experience of living the Scriptures amidst great poverty and hopelessness - they help to make more visible the face of the universal Church. After three months, they return to their homes, where they can continue with their pilgrimage. 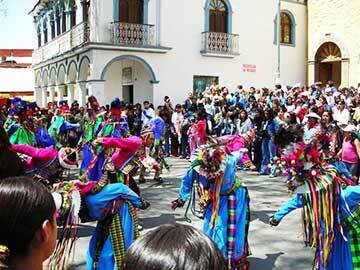 The meeting in Cochabamba will be another stage in this pilgrimage. There will be young people from Latin America, as well as from North America and Europe. Brother Alois, the new prior of Taize, will also be there, along with several brothers of the Community.